Customized insurance options to protect your prized assets. Aside from your home and car, do you have other things that you want to keep protected? At Safechoice Insurance Agency, we offer other insurance options that extend beyond the typical range of plans. There are various options to consider. Consider any type: toy, ATV, RV, motorcycle, or other plans that fit your lifestyle. With the help of our independent insurance agents, you’ll have the help you need to select a plan that fits any asset you own. Toy. Toy insurance, as it is sometimes called, is for any type of valuable asset that you own that isn’t your typical car or home. For example, you may own a jet ski. This type of item is valuable and generally speaking, could put you behind significantly if you were to lose it in an accident. Having toy insurance helps minimize financial burden. ATV. 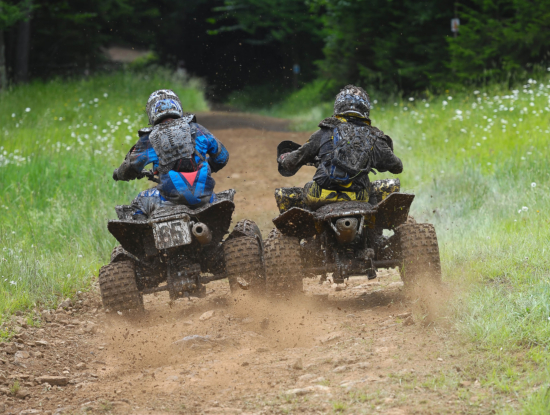 If you own an ATV, you know how much fun it is to drive your off-roading vehicle through turns and through jumps. However, the ATV could become damaged beyond use. If that happens, you may be able to get some compensation if you have ATV insurance. This could help to reduce the costs you pay for these losses. RV. Do you spend your summers on the road in your RV? If so, consider the value of RV insurance. Not only does it need to meet any requirements your state has for liability insurance, but this is a virtual home. It needs property insurance to minimize the risks of damage from fires, vandalism, and theft. Comprehensive coverage can often provide that. Motorcycle. Motorcycle insurance is also important. If you own a bike, you may be required to carry specific liability insurance to protect against accidents you cause. You may also want a policy that can cover your bike needs including replacing expensive or hard to find parts.